I will keep this short as possible. A single nuclear weapon has “gone missing” as of last week, one of four missing but this one “more missing” than the others. 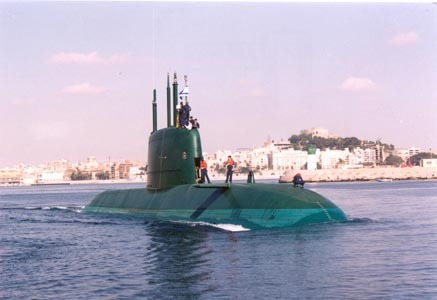 The submarine in question may or may not be one Germany is giving to Israel, this one with a “special enhancement” which, as we had questioned earlier, might be used against Iran, the United Kingdom or United States. 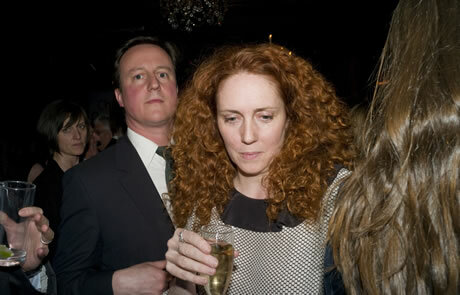 If anyone runs across one of the Murdoch clan, Rupert or James, see if they have come up with something on this. Make sure one of them informs the Prime Minister. “Disappear” Dolphin Sub, Nuke & Crew While Under Comprehensive NATO & Intelligence Agency Surveillance! ETs/EDs (extraterrestrials/extradimensionsals) of the Liberation Forces raided Angela Merkel’s Germany last week, a move expected by the writer, given Germany’s decades of WMD (weapons of mass destruction) proliferation (chemical weapons and precursors, supplying missile expertise, illegal sale of ultra centrifuges to anyone with cash, plus providing quiet Diesel-electric subs to Israel, but set up to allow for rapid conversion to nuclear cruise missile launch platforms). Call the ETs/EDS most unhappy! ETs/EDs Exclusively Reveal Sub Was Bound For Israel! The ETs/EDs mean what they say when it comes to honoring treaty terms with them, and nothing is taken more seriously than anything involving proliferation or use of nuclear weapons. The ETs/EDs haven’t figured out what will be done about Germany, but they say “It’ll hurt and be highly visible.” Rest assured, that’s no hollow threat. Just ask Hugo Chavez or Benjamin Netanyahu! “Israel,” the ETs/EDs say, “will also be chastised.” Whether or not that chastisement will extend beyond the loss of a pricey sub, expensively trained crew and a highly illegal, expensive nuke “is presently undecided.” The overall impression received, both directly and indirectly, is that the ETs/EDs are really angry and upset over the outrageous actions of Germany, Russia and Israel. Interesting read until I Googled the Expect Russia’s most advanced fighter, the SuMi-41, armed with “topside” supplied energy cannon remark. It does not exists. Now I question the whole article. The article is from Veterans Today. What you are referring to is a response to this article from somebody who claims ETs did it. This has nothing to to with the ORIGINAL article from Veterans Today. How could you explain this bomb to just disappear, when those guys can read your newspaper via satellite and listen to your every conversation even if your cell phone is turned off? So this is a interesting reply to the article, ALTHOUGH it sounds like that Benjamin Fulford (‘Bullford’) & David Wilcock (‘Wilscam’) BS stuff. Sorry, was away again & missed this gem….a Patrick Robinson SPECIAL! The Germans, French and British will supply weapons to whomever they feel like, either quietly or even via mysterious third party launderers. Could never trust any of them, they lie first, and if it isn’t good enough, they make up more lies. I think this is a planned theft, another MH370, but because 200+ ordinary Joe’s haven’t disappeared, there is no hype, so it looks like whatever NATO’s plan is it could well succeed. Now we’ll see just how strong the Merkel-Putin tie is. Pingback: The Tap Blog | Lake Annecy Murders. There’s more to it.